Today, paper is widely used, however, we are increasingly writing using electronic appliances. What was it like in the past? Since man began to write, he has used various materials. Initially, there were ones that were easily accessible and whose preparation did not require the use of complicated production processes – such as stone or wood. Later, more specialized materials were used – papyrus or wax (in the form of wax slates), parchment and, finally, paper. Neither papyrus nor wax are durable materials. They easily succumb to damage, especially in unfavourable weather conditions. 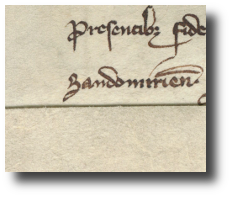 In the middle ages, scribes generally used parchment which was later replaced by paper. 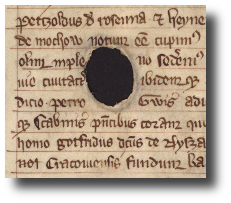 Although it was the most generally available writing material in the middle ages, it was not cheap. Therefore it was used sparingly, sometimes it was written on many times and even damaged fragments were used, and tears were carefully sewn. 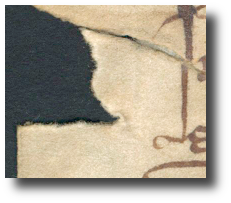 When the damage was located in the place designated for writing, the scribe simply omitted it, writing the text on both sides of the missing parchment. The production of paper began in Europe at the turn of the XIII and XIV centuries, and in Poland the first paper plants appeared in the XV century. 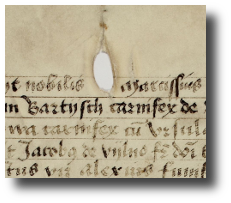 However, paper did not immediately replace parchment. For a long time, they were used in parallel, with paper, being a less durable material, designated for writing of less importance. 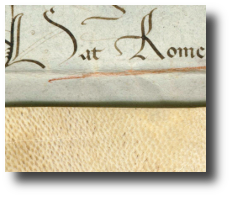 With time, together with the growth in writing, and finally with the increase in printing, parchment had to make way and was replaced by the cheaper paper. The production technology of the paper in former paper plants differed from today's mass production method. 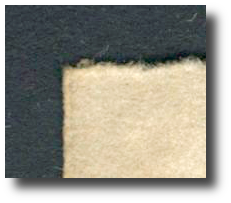 The paper mass was obtained from pulp, which was a result of the process of soaking, pulping and boiling fabric. It was carried out by hand, with the use of a wire sieve, made of a network of horizontal and vertical wires (the so-called chain line and wire line), then soaked, dried, glued and smoothed. The use of a sieve meant that paper in places of contact with wire elements was lighter and thinner than in other places. This fact was used to obtain the so-called water marks, which are most visible when viewing paper under light. These were obtained with a suitably formulated wire shape mounted in the paper sieve. 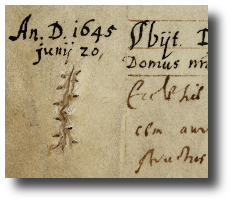 Thanks to this, visible graphic marks formed on paper. The water mark identified the paper plant from which the paper came. Thanks to this, today it is possible to date and define the origin of the paper. Such obtained paper is thicker and more durable than later paper, obtained from cellulose and pulp, which began to be mass produced in the XIX century.